Compare volume of a rectangular prism and triangular prism. Find the volume of the shape below. Explain your answer from problem 2. 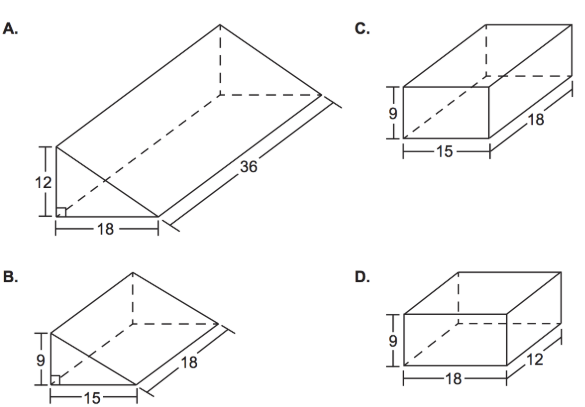 Which of the following shapes has a volume that is EXACTLY DOUBLE the volume of the original shape?